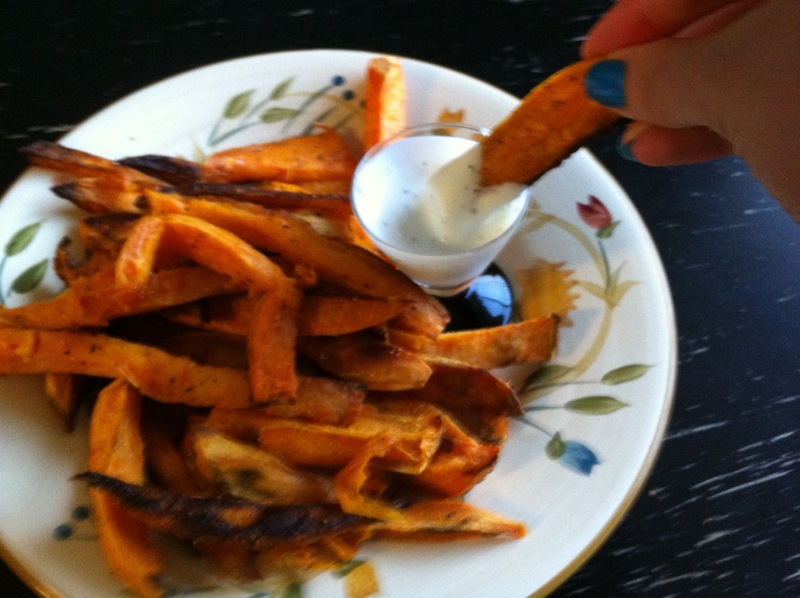 My roommate Alyssa made some really delicious Sweet Potato Fries with an amazing Greek Yogurt-Sour Cream Dipping Sauce. 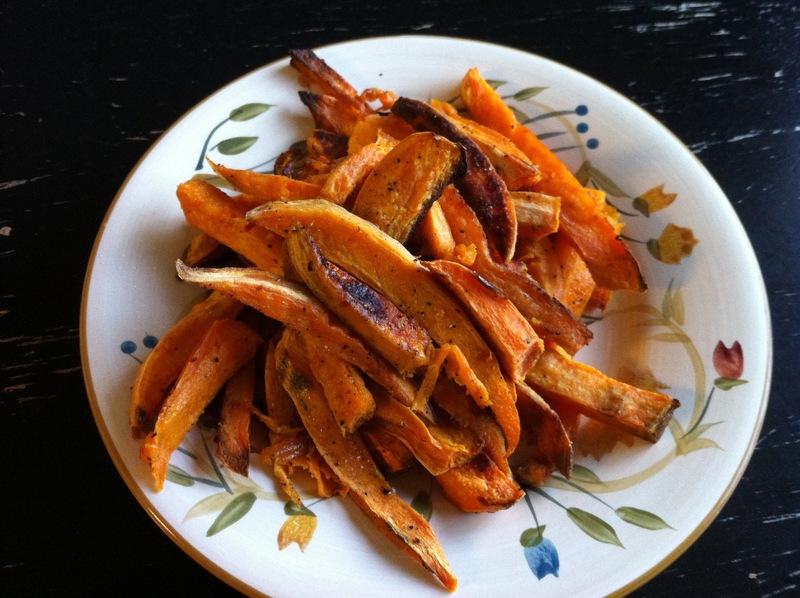 If you like sweet potato fries (and let’s be honest, if you don’t like sweet potato fries you probably don’t have taste buds) you should definitely make these, they’re really easy, and about 1000 times better than the fast food version. Naturally any form of fry needs a dipping sauce. 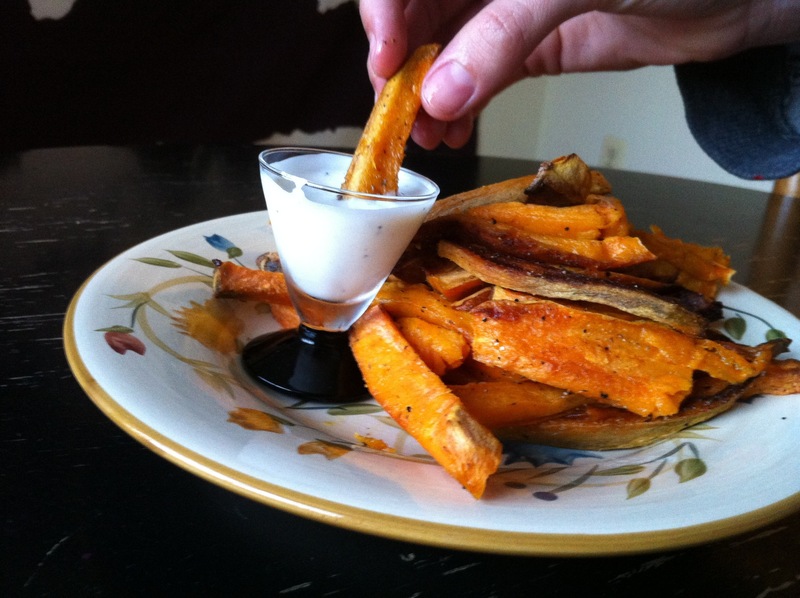 Now, I’m not the biggest fan of ketchup, especially with sweet potatoes, so we made this yogurt-sour cream sauce that Alyssa’s family makes. Alyssa and I both have a borderline unhealthy obsession with sour cream. One more than one occasion we’ve based our dinner choices on what would allow us to eat sour cream and have been known to questionably eat it with foods that really don’t call for sour cream (eggs, burgers, chips, the list goes on), or in some cases, by the spoonful (don’t judge, it’s delicious)… anyway, naturally, this dipping sauce is perfect for us, and I’m pretty sure you’ll enjoy it too! Cut your french fries up, cover them in olive oil, salt & pepper (which Alyssa insists are the 3 key ingredients to making anything), and some garlic powder. Bake them in the oven until they’ve reached whatever fry consistency you like best. For the sauce you just mix up equal parts sour cream and plain Greek yogurt (the first time we made this we accidentally bought vanilla yogurt, and it actually turned out surprisingly well, however I would recommend sticking with the plain yogurt) with some salt and pepper (we used black pepper but her dad uses white paper, however, Alyssa insists “white pepper is just confused about its identity,” you can use whatever you have on hand). 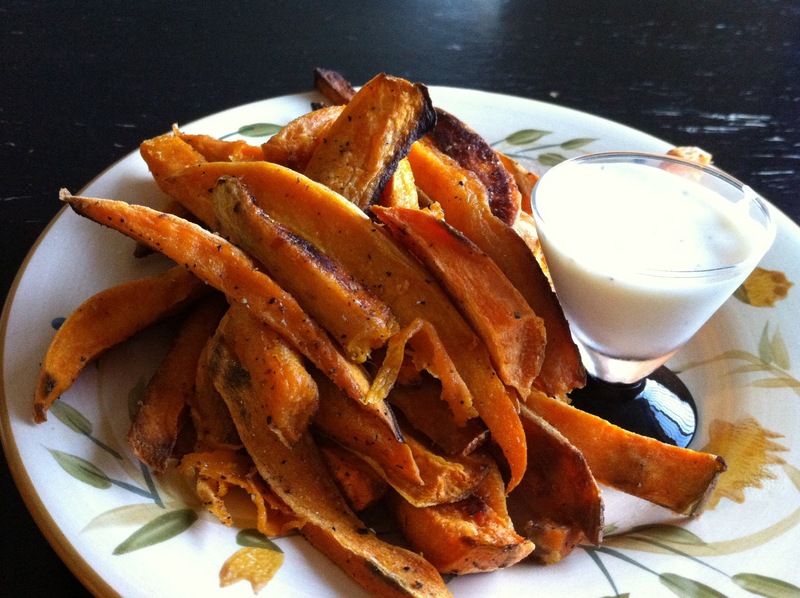 Serve up the fries and the sauce, they’re AMAZING!